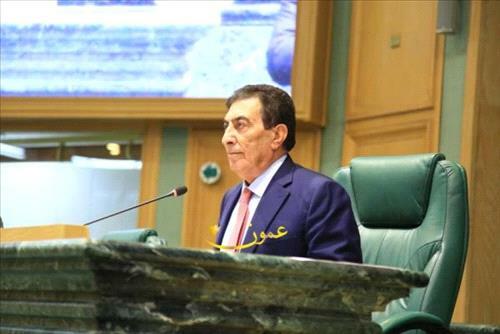 AMMONNEWS - Lower House Speaker Atef Tarawneh said Monday that the Palestinian issue is passing through its most difficult stages, and that His Majesty King Abdullah's cancellation of his visit to Romania is a reaffirmation of his position on Jerusalem in word and deed. He was commenting on a Royal Court statement that His Majesty decided to cancel his visit to Romania today in solidarity with Jerusalem following Romanian Prime Minister Viorica Dancila’s remarks expressing the intention to move her country’s embassy to Jerusalem. "The royal step is a clear message that Jerusalem is not subject to compromise", Tarawneh said in a tweet, adding that "let the near and far know we are behind the King, and all his people are with him, in defending Jerusalem."